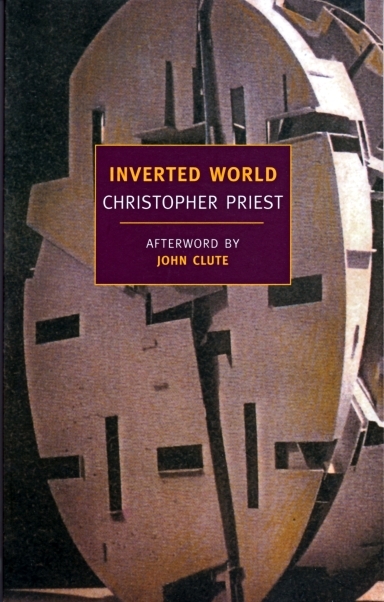 Inverted World (published in 1974) is one of Christopher Priest’s earliest novels, but it has remained constantly in print from the outset and is now regarded as a modern classic of science fiction. It is included in series of such classics in both the USA and the UK. It has been published in more than twenty countries around the world. It has never been filmed or even optioned, but throughout its existence the book has attracted film makers’ interest and constant enquiries about how it might be turned into a film. So far it has defeated all efforts to depict its images and events, but in these days of advanced CGI and other effects, who knows what is now possible? Inverted World is the story of discovery: what is the exact nature of the world in which the central character, a young man called Helward Mann, finds himself? It seems of course at first normal to him, but as the story develops and Helward explores outside the city where he was born, the reader realizes that something very strange indeed is going on. All rights to Inverted World remain available.